Ok, guys. For reals. 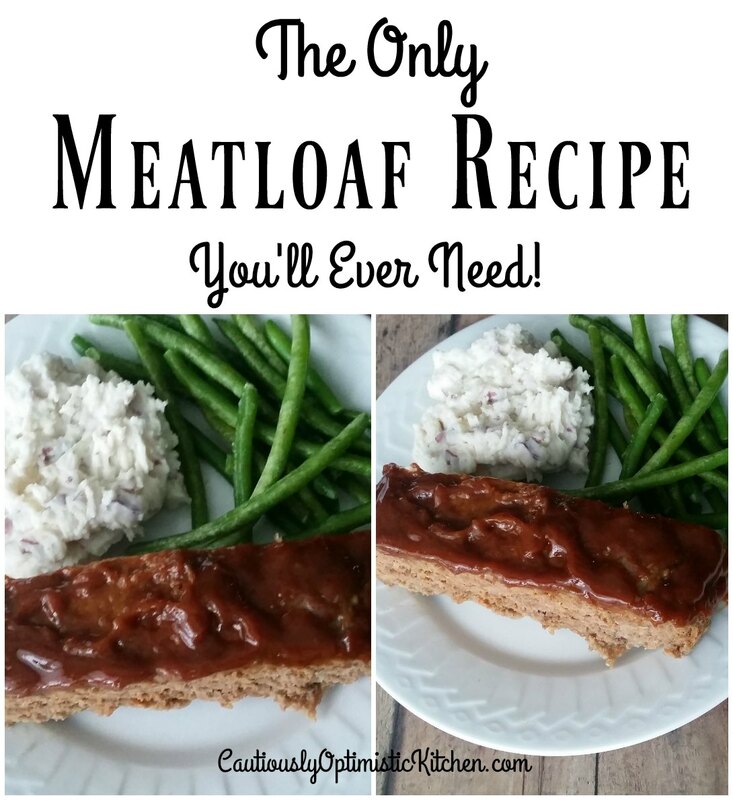 I know you’ve heard it before, but this is seriously the only meatloaf recipe you’ll ever need! 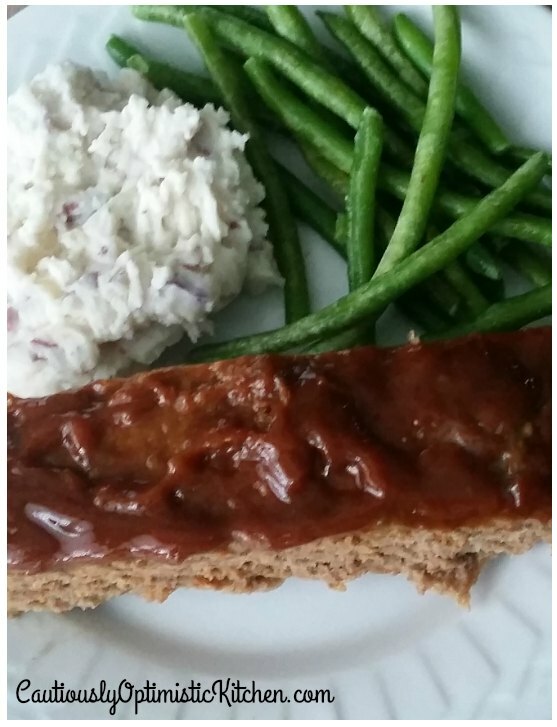 It is the best meatloaf recipe I have ever made. And the crazy thing is, it was a complete accident that I made it this way. I was actually following another recipe and I messed it up. It was only after I looked back at the instructions and realized what I’d done. Sometimes mistakes can turn out with the best results! As I said, this isn’t completely my own original recipe. But what meatloaf- or any recipe for that matter, is actually an original? I was already tweaking it, like I always seem to be finding myself doing, so by the time I finished this recipe didn’t even resemble the original. I used most of the ingredients listed in the recipe I was following but I added a few, I left a few out, and I created my own sauce. So let’s talk about THIS Meatloaf. 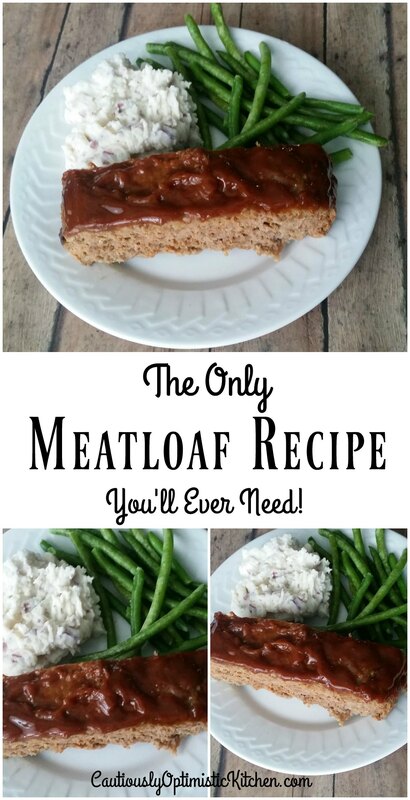 I know Meatloaf tends to get a really bad rap- kinda like broccoli :-(- but it’s actually a favorite comfort food for most people. Hence the reason there are no less than a billion recipes for it on Pinterest already. My kids LOVE Meatloaf. So much that it has earned a capital M in this house. 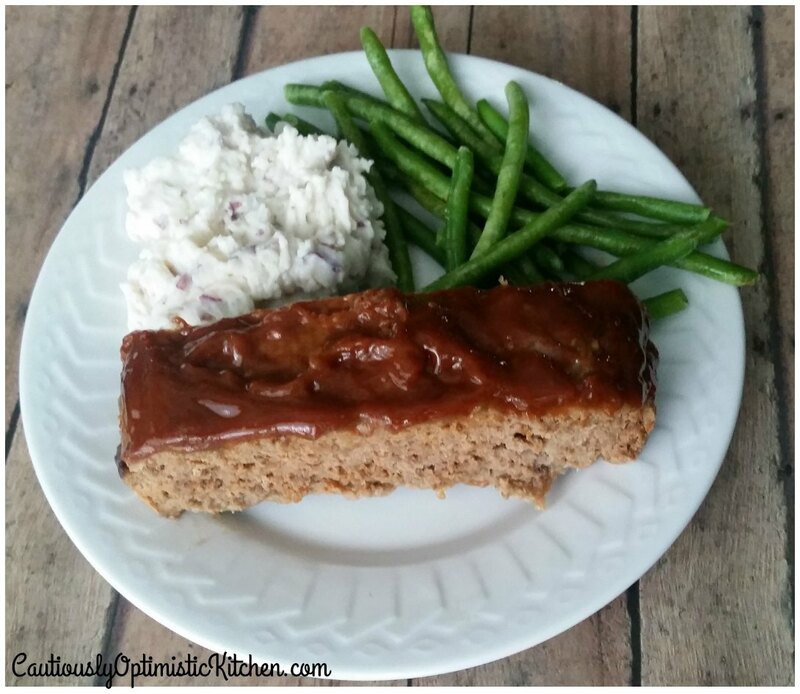 There’s a few dishes I can typically get my kids to eat every bit of, but Meatloaf is one of those that they will even ask for seconds on! My kids are not eaters. Unless it’s “snacks” they aren’t usually interested. But they went back for more with this recipe! Well… I added part of what the original recipe called for to be the sauce ingredients (mustard, ketchup, and sugar) to the meatloaf itself! It changed the flavor and texture in such a great way! Of course, you will and can do, what I was doing when I accidentally created this recipe. Make whatever substitutions you want or need to. Add, take away, create! That’s what’s so great about cooking, you can tweak things to your heart’s desire! I would advise though, that you follow this Meatloaf recipe as written. I can’t guarantee what your results will be otherwise. But I can promise you if you follow the recipe, it is very good! Like, the only Meatloaf recipe you will ever need kind of good! A few tips to get you started. This Meatloaf is not overly bready. Yes that’s a word. I hate biting into a Meatloaf that feels like I’m chewing a piece of meat flavored bread. So gross. It also has plenty of flavor with just a few simple seasonings. Nothing too fancy here. The sauce is mildly BBQ flavored, but it’s very subtle. Instead of breadcrumbs I use ground oatmeal. I grind it in my Ninja and then measure out 1 cup. Be sure you pour your milk over the oatmeal mixture and let it form a gooey paste. This will help with your texture tremendously! I always cook my Meatloaf in an 8×8″ glass pan instead of a loaf pan. It cooks so much quicker without drying out the outer edges and I’m able to do two loaves (one with veggies, one without) in one pan! Win, win! In a large bowl, combine the egg, milk and bread. Add ground beef and onions. Season with onion, garlic, and salt and pepper to taste. Place in a 8x8" glass pan and form into 2 loaves. In a separate small bowl, combine the brown sugar, BBQ sauce, mustard and ketchup. Mix well and pour over the meatloaf. Bake at 375 for 35 mins - 45 mins in an 8x8" glass pan. Be sure to check out the only Biscuit recipe you’ll ever need after you pop this Meatloaf into the oven! They are so soft and fluffy! What’s your favorite comfort food? Have you ever made a mistake and it turn out to be for the best? Let me know in the comments below and be sure you remember to Pin this!